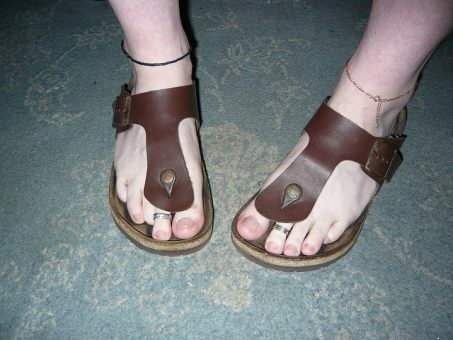 We are all well identified with the very popular “Hippie” Style Birkenstock sandal, which has become an overnight hit. One of the main characteristics of this Sandal is the CORK SOLE, which is said to be extremely comfortable and healthy for your feet, and rightfully so. In this article I am going to concentrate on the many different types of Cork Sole Sandals that are available today. Most Natural, cork types originate from the bark of the Cork Oak tree,, found close to the Mediteranean. 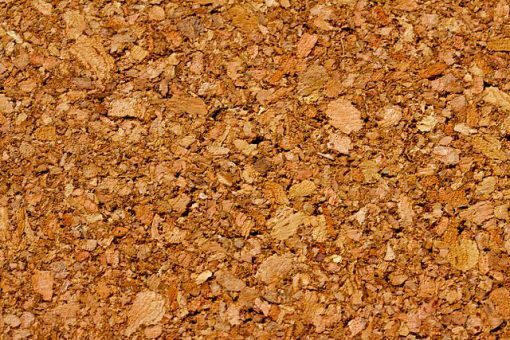 Cork bark is a buoyant, elastic, as well as fire and water resistant material, which is environmentally-friendly, recyclable, and highly comfortable on your feet. Cork molds to the shape of your foot which offers superb support. Orthopedic Cork footbeds are designed to distribute weight evenly, thus improving posture and ensuring proper balance. On the other hand, cork is very elastic which ensures less strain on your joints, because it translates to less impact force. Besides being excellent at shock absorbency, Cork provides cushioned comfort that is flexible and highly pliable. Lastly, cork is moisture resistant and odor resistant, so it naturally keeps your feet dry and odor free. Orthopedic style sandals are more likely to have a cork footbed, one of the Top rated Brands that we are going to discuss is Birkenstock, as mentioned, among a few others, which have proven to be some of the best quality brands of cork footbed shoes. The two Cork-bed Style Sandal Options that you will mainly have to decide between are either a normal open strap style, which features two or more straps, or a Thong style sandal, with an open or strap back. Besides other features like comfortable straps and closures on your sandals, you want to make sure that the footbed is made from genuine cork, and that it is good quality. Other features may include a cushioned or moisture wicking lining from suede or pig skin, and a durable rubber or synthetic outsole that offers slip resistance and good traction on most surface areas. We start off with the Classic Arizona two strap Sandal from Birkenstock, Birkenstock features the most popular and sought after cork footbed shoes on the market. 100% Durable and soft leather uppers that feature two straps with Buckle details in a light beige color which is neutral and feminine. A synthetic outsole that offers excellent grip even on slippery surfaces and uneven terrain. The Cork footbed and midsole are soft, cushioned and moisture absorbing, keeping your dry, fresh and comfortable all day. The upper straps are fully adjustable, for the best customizable fit. A highly comfortable and more classy, and feminine styled cork footbed, thong sandal, which is available in many color options featuring solid colors, as well as glitter designs. The cork midsole has a contoured footbed, for better support and cradled comfort. An easy slip-on design with adjustable buckle straps so it will fit any foot shape. An anti-slip cork and rubber outsole design, to offer you good grip even on slippery surfaces and uneven terrain. The footbed I covered with a soft and comfortable pig suede lining, that absorbs moisture and prevents foot odor, keeping your feet fresh and dry for longer. Synthetic uppers available in a range of colors and designs, either with or without glitter details. Something a bit more on the formal style. The Caty from Sugar, is a stunning slingback style, peep toe shoe with a higher wedge heel for more formal occasions. Available in a selection of either BLACK or Tan upper leather construction. A Higher wedge heel for more sophistication and class, as well as a bit of stability. The midsole is a soft and comfortable cork, that provides good cushioned comfort and support. A durable and high traction outsole, that offers good grip on a variety of floor surfaces. The footbed is slightly padded for comfort, and shock absorbency. Features soft and supple leather uppers that are perforated for breathability and have an adjustable ankle strap for the perfect and most comfortable, snug fit. Also Boasts a decorative front zip detail. Another favorite from Birkenstock is the Mayari, with its Mocha Color crossing toe-ring straps and buckled vamp details. Manufactured from 100% Birko-Flor materials, patented by Birkenstock for qulaity and expert craftmanship. A durable and good gripping rubber outsole, that is ideal for all floor surface types. Soft cork footbed and midsole with a contoured shape for better support, and cradled plush comfort, all day long. Slide in a sandal with crossing toe straps and buckle closure details, for a unique and casual, laid back style. A cool and casual flat sandal from Outwoods, the Bork has vegan leather straps and a low profile cork footbed with rubber outsole. Detailed and adjustable leather straps from vegan leather with metal buckles. A Cork midsole with a soft molded footbed, for support and comfort. The outsole is rubber for good grip and traction on a variety of floor surfaces. A few color options are available in neutral and dark color shades and tones, that will complement your outfits perfectly. The White Mountain Holland is a very feminine, Birkenstock style sandal with decorated and colorful upper straps and a soft suede insole. Stunning plaited and buckle detail leather upper straps available in a variety of either solid colors, or patterned styles for your own personal preference and style requirements. A soft suede insole lining that absorbs moisture and keeps feet dry and comfortable all day long. Durable and cushioned Cork midsole, for excellent support and comfort along with great moisture wicking capabilities. A synthetic outsole ensures good grip and long-lasting durability. The buckle straps are adjustable for a better and more cutsomizable fit.